The first driving lessons often make learners nervous as they don’t know what to expect. On most occasions however, it’s worth knowing that the first driving lesson goes very well and the learner is very happy at the end. Here we will discuss what happens on your first driving lesson and also what you will do on your first driving lesson so you will know what to expect. Also covered is what your driving instructor will be expecting from you during and at the end of your first driving lesson. We shall assume for the moment that you have already found your ideal driving instructor and are shortly going to start your first driving lesson. When you originally booked driving lessons with your driving school or instructor, they should have arranged a pick up location with you. This is often your house, or could be a different location such as college or work. Some driving school or instructors ask you to bring along your provisional driving licence just for your first driving lesson as they want to ensure you are legal to drive. How your first driving lesson starts largely depends on the area that you are picked up from and how long the lesson lasts. If you are being picked up in a busy area, the instructor will meet and greet you and will check your provisional driving licence. The instructor will then ask you to sit in the passenger seat as they will take you somewhere quieter for your first driving lesson. The area you will be taken to is often a quiet residential street. The instructor will often drive you to this starting location until you are proficient enough to start lessons from your busy pick up location. On the way to your starting area, the instructor is likely to give you a lesson plan, describing what you will do on your first driving lesson. The first driving lesson will involve the cockpit drill. 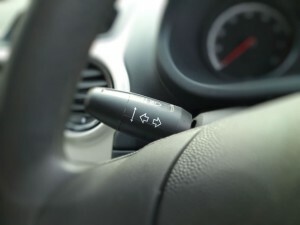 The cockpit drill will involve an explanation of the cars controls and instruments such as the indicator. Now that you have arrived at your quiet residential street for your first driving lesson, your instructor will ask you to sit in the driver’s seat where they will explain to you the cockpit drill. The cockpit drill involves the instructor explaining and demonstrating car safety procedures and what the various pedals and levers do, plus how to operate them. They may also use a book containing diagrams for such things as the clutch to help you understand easier. The cockpit drill should take around 30 minutes or so to complete. You may get asked a few basic questions during the cockpit drill, but nothing to worry about. Whether you drive the car or not on your first driving lesson depends on how long the lesson duration is. Ideally, your first lesson should be 2 hours to ensure you get to a quiet location, allow the instructor to drive you back home and have time in between to learn the cockpit drill and briefly drive the car. This is often a nervous time for learner drivers, but you will only be travelling a short distance down the road before you stop, plus It is usually in a straight or reasonably straight line. Also, don’t forget that the instructor has dual controls so if anything goes wrong, the instructor can take full control. You are likely to have a few goes at this before the end of the lesson where your instructor will drive you back. Don’t worry if you stall the car, this is common, especially on the first driving lessons. Take a read of How to stop stalling a car to gain a basic understanding of what the instructor will be explaining. When the instructor has returned you to your chosen location which can often be different from your pick up point if you wish. Your instructor will explain how they think your first lesson went and what to expect on the next lesson. You can both discuss future driving lesson bookings that will work around your schedule. The instructor may also provide you with a progress report booklet to keep track of your progress on each lesson. Try and remember to take this with you to each lesson. If you are happy with your instructor, you may want to discuss block booking lessons as you may be able to receive discounts. It is perfectly normal to have first driving lesson nerves but be assured that your driving instructor is experienced in dealing with nervous learner drivers and they are expecting you to have those first driving lesson nerves. Your instructor will be patient and friendly, will not expect too much of you from your first driving lesson and will try their best to put your nerves at ease. It’s not always about first driving lesson nerves however. Many learner drivers have driving lesson nerves through the majority of their driving course on each and every lesson. This is also perfectly normal too, but your nerves should subside soon after the lesson starts. If you are having issues with driving lesson nerves and believe they are impacting your progress, you will need to look at ways to reduce these nerves. Fist driving lesson nerves or nerves at the start of each lesson are perfectly normal. If however they continue throughout each and every lesson, it can impede your ability to make progress and learn. You will need to establish if it is your instructor making you nervous or yourself. Your driving instructor should not shout, get angry or irritated when you make mistakes. You are after all a learner. Many driving instructors make their learners feel relaxed and actually have a great laugh during lesson. If you feel nervous during lessons because you’re afraid of upsetting your instructor, this will need to be resolved. Either explain this to your instructor and tell them this must stop or change instructors. If your instructor is great, you will then need to establish why you are making yourself nervous. This can of course be for many reasons. The most common being that you are afraid you will cause some kind of accident. Your driving instructor is qualified to teach learner drivers and also has dual controls that will allow them to prevent an accident happening, so this is highly unlikely. Any accidents or tyre damage is covered by the instructors insurance also. Another frequent reason for driving lesson nerves is learners expecting too much from themselves. Don’t try too hard to do everything perfectly correct on your lessons. Making mistakes is what enables us to learn. Relax, chat and have a laugh with your instructor during your lessons, you will learn far more. If you feel your instructor is pushing you too hard, resulting in you making too many mistakes, ask them to slow down a little and take things a little easier. It’s also better to take 2 or 3 driving lessons per week instead of 1. Taking a single lesson per week leaves too much time between lessons, leaving you anxious that you have forgotten everything. Being slow, impeding other road users and making mistakes is a big issue with learner drivers. Stalling at junctions, traffic lights and roundabouts is a big fear (see how to stop stalling a car). First thing to remember is that you’re a learner, so don’t worry about anyone else, they were a learner once too. Remember also that bringing the clutch up quickly WONT make you go faster, it will make you stall (if you’re driving a manual). Relax and bring the clutch up just as you do on those quiet roads where you don’t stall. Releasing the clutch slowly makes you move off much faster than stalling and you’re not nearly as slow as you think you. On the first driving lesson with a instructor, many learner drivers have never driven a car before. You will need to operate all the controls and take effective observations all at the same time. This is obviously incredibly difficult for a novice and your instructor knows this. You are likely to make plenty of mistakes. Your instructor is used to this and is expecting this, especially over the first few driving lessons. Providing you try your best, that is all the instructor is looking for. Again, something your instructor is used to and deals with often. Your instructor should try and make you feel as relaxed as is possible. Try not to take the first few driving lessons too seriously. Have fun and have a laugh with your instructor. Learning to drive should also be fun as well as learning a life skill. Take each and every movement in stages so that it’s easier to understand. If you try to take everything in at once, it may become overwhelming. If you do feel overly stressed, don’t be afraid to ask your instructor to slow it down a little. Before your first driving lessons, observe other people driving. Don’t worry about things like mirrors checks, just look at them changing gears, when they brake, when they put the clutch down etc. It will give you a better understanding on your first lesson. Also take a good read of this Driving Test Tips website. There are plenty of learner driver tips, theory test and driving test tips that will help you along to passing the driving test. The second driving lesson will involve covering what you learnt in your first driving lesson, picking up where you left off from the previous lesson and progressing your driving skills and confidence. Thanks for sharing this. I am planning to enroll in a driving school and it’s a good thing that you mentioned that feeling nervous is just about normal as I don’t know what to expect. I will make sure to create a positive relationship with my instructor when I start my lesson soon. wow! thanks for a driving tips , i find it really interested and useful , soon i’m going to start my first driving lessons , hope it goes well.